Each student can learn at a high level and that it is our responsibility to utilize best practices to that end. The intended audiences for grade cards are students and their parents. Learning is a process and where you finish is more important than where you start or how long it took you to get there. Standards-Based Grading (SBG) is a set of teaching and reporting practices that communicate how a student is performing against a predetermined set of expectations. SBG reports achievement on each academic standard separately instead of combining them like in traditional systems. SBG also separates out behaviors such as effort, attendance, participation, timeliness, cooperation, and attitude, in an attempt to give the clearest picture of student learning possible. The principals of Cassingham, Maryland, Montrose, and the middle school presented to parents to provide frther information about Standards-Based Grading and how it is being used at the various grade levels. This presentation represents the language and practices from the 2017-18 school year, our pilot year for K-8 standards-based grading. Presentation from the March 2018 meeting. How is Standards-Based Grading different than traditional grading? Grades given by subject as an average of all assignments. Percentage system (101 levels) is used with incomplete assignments (zeros) having a disproportional effect. Grades given by reporting standards, reported separately. Three levels of reporting that only consider the evidence produced. Criteria for success is often unclear or assumed to be known by students. Publicly published criteria for success. Letter grades are a mix of achievement, attitude, effort, and behavior. Penalties, extra credit, and group scores are included. Reporting levels indicate the degree of achievement on each reporting standard. Achievement and effort are reported separately. Only individual evidence is used. All assignments included, regardless of purpose. Homework completion can be a major factor. Only those assignments which come at the end of learning (summative) are included. Assignments which are part of the learning process (formative) are used for feedback and planning instruction, not grading. All scores from the grading period included. Multiple assessments recorded as average. Most recent evidence emphasized and students are able to demonstrate mastery in a variety of ways. Grades are “determined” using professional judgement, relying on the median and/ or mode. Adapted from O'Connor, K. (2009). How to grade for learning, K-12 (3rd ed.). Thousand Oaks, CA: Corwin. Why would BMS convert to SBG? Many of the leading educational experts in the world (Doug Reeves , Robert Marzano, Ken O’Connor, Tom Guskey, John Hattie, Dylan Wiliam, and Richard Dufour) have found that timely, actionable feedback is one of the most powerful influences on student learning. A traditional grading system reduces everything that a student does to a single letter grade, making it neither timely nor actionable. The most effective feedback teachers can provide to students comes in relationship to predetermined learning goals. The Common Core and new state standards have increased the rigor and transparency of K-12 education in order to prepare students for a wide range of college and career opportunities. Federal and state laws now require that teachers, schools, and districts properly prepare all students with high levels of learning. By using a standards-based grading and reporting system, we are following the results of educational research and best practice. Standards-based instruction/grading has the potential to provide a rich array of information on a student’s academic progress. With Bexley HS using a traditional grading system, will students be prepared? In 2012, The Chronicle of Higher Education and American Public Media’s Marketplace conducted a survey of 704 employers about which factors they consider most important when hiring college graduates. Internships were considered the single most important factor across all types of employers while college GPA was considered one of the least important. In the employer’s open ended comments, they indicated that the competencies that a college degree signify (critical thinking, writing, drive, responsibility, commitment) were more important to employers than the actual degree (“The Role of Higher Education in Career Development: Employer Perceptions,” 2012). In The "Getting them Ready Myth," Douglas Reeves says, ..."8th grade is often full of toxic practices, including zeroes for missing work and the expectation that students should 'get it right the first time,' all based on the mistaken notion that these practices are essential for high school success. The great irony is this: When I ask high school teachers, 'What do I need to do as a middle school teacher in order to get students ready for high school?' they never say, 'cover every standard and haze them with toxic grading practices” (Reeves 2016). BMS seeks to use thoughtful, intentional grading practices that are both developmentally appropriate now and prepare students to be life long-learners. Littky, D., & Grabelle, S. (2004). The big picture: Education is everyone's business. Alexandria, VA: Association for Supervision and Curriculum Development. Individual schools and districts across the United States and Canada have adopted SBG (also called standards-referenced, mastery learning, competency-based, etc.) as well as some entire states and provinces. It is more prevalent at K-8 but is also gaining traction at the high school level. Bexley is currently at various stages of implementation K-8, with no discussions to adopt SBG at the HS level. While there is no official list, schools in every state are using standards-based grading. Departments of Education in Illinois, Hawaii, Kentucky, Maine, Vermont, and North East School Division – Saskatchewan (CA) have all adopted their own versions of SBG. One of the unique aspects of the highly regarded Yale School of Medicine is their educational philosophy, known as “The Yale System.” Their guiding principles have been in place since 1931 and are key factors for students choosing to attend Yale. Under this philosophy, students are treated as learners who need “guidance and stimulation rather than compulsion or competition.” While there certainly is a difference in what young adolescents and adults need, similar principals can be applied in middle school. Curtis, J. (2002, Autumn). Everyone loves the Yale System. So why can't they all agree? Yale Medicine, 37(1), 30-37. One aspect of school that is universally dreaded is homework. Students don't want it and parents don't want to monitor or teach it. This is in large part because homework has become something it was never intended to be. Homework in the United States initially consisted of rote memorization of reading, writing, and arithmetic and mimicked the way students were assessed (by reciting facts). This method served those students who, because of work, could not attend school regularly and could be done while performing many household tasks. Parents had little if any expectation to help their students. By the early 1900s, the value of facts that could be memorized was being challenged. The educational needs of the work force were growing and it was clear that the ability to analyze and create were needed more than mere facts. Pediatricians across the country came out against homework, not because of what it was, but because of what it wasn't: sunshine, exercise, free play, and a good night's rest. By the 1940s, many districts had eliminated homework through 6th grade and limited it to 1 hour for older students. There seemed to be near consensus that this was the proper approach to homework. When the Soviet Union launched Sputnik 1 in 1957, everything changed. Driven by a fear that the US would not be prepared for this new technology age, the public consensus became that homework at the secondary level was a key step to producing "smarter" students. In typical American fashion, the belief that "more is better" was applied to homework and students K-12 were assigned homework at unprecedented rates. In the late 1960s, prominent groups such as The American Educational Research Association and The National Education Association renewed the questioning of homework as an effective practice and if it was in the interest of student well-being. Against the backdrop of the Vietnam War and the Civil Rights Movement, the public again embraced the idea that homework should only be reserved for secondary students and limited to 1.5 hours or less. We arrive at our current state in large part because of the federal government's 1983 report, A Nation at Risk. The linking of individual academic success and national economic success led to a desire for easy to implement, cost effective "solutions" to the perceived mediocrity of public education. As has happened twice before, educators, parents, and researchers are once again questioning the role homework should play. Going back to the early days of homework can show us the original purpose: practice of material already taught. As a school, we strive to assign homework that has a clear academic purpose that is apparent to students. Homework should directly relate to instruction that is occurring in class by either being practice or preparation. We aim to follow the guidelines provided by The National Education Association and The National PTA of 10 minutes per night, per grade (60 mins/ night for 6th grade, 70 mins/ night for 7th grade, etc. ), however the ebbs and flows of classes and project work can increase or decrease the time spent on a nightly basis. Homework should be designed so that students can complete it without parental assistance. It is the schools job to teach content and strategies. Parents can support their student by providing a quiet place to work, an expectation that students do their best work, and by communicating to teachers when homework is too difficult or exceeds the time expectations. What Does This Have to Do With Standards-Based Grading? As the practice of homework has increased, so has its impact on a student's grade. If homework is to serve the purpose of practice, making it part of the course grade doesn't make much sense. Homework grades are one of the most misleading ways to report student progress. As you can see from the table above, when test and homework scores match no new information is gained by including both. But if a scores don't match, you get misleading information about student achievement. This is further complicated due to the nature of homework grading; some teachers use accuracy grades and some use percent correct grades. One of the central tenants to Standards-Based Grading is that only summative (end of learning) assessments are considered when determining the final grade. But if You Don't Grade it, They Won't Do it. Homework has a different role in a standards-based grading classroom than in a traditional one. Homework has for a long time been about compliance with grades being assigned for completion. In a standards-based classroom, homework is viewed as practice: at time for students to improve and teachers to find out where their students are in the learning process so they know where to go next. Just like a football team would not expect to win a game without practicing, students should not expect to master the standards without practice. Make no mistake: homework still counts, just not for points. Teachers will select assignments (both in-class and out-of-class) that prepare students for the assessment, product, demonstration, etc. at the end of that learning. In order to learn the content, it is important that students engage in the practice opportunities teachers provide. Teachers can communicate a lack of homework completion through the “Learning Skills & Work Habits” section of the report card, through parent and student communications, and they may also require students to participate in monitored learning opportunities (study sessions, study tables, etc.). Classwork and homework completion are not issues unique to SBG (or this decade) – students will complete the work they see value in, regardless of the grading system being used. One way to convey that value is to remind students that they are at least informally assessed on everything they do. Everything, from class discussions to homework to assessments, informs a teacher's professional judgment about the student’s level of proficiency on a standard, so it is in the student’s best interest to put forth their best effort at all times. How will student learning be reported? Four levels of mastery will be used to communicate how the student is doing against a specific standard. Students who earn a Mastery, Approaching Mastery, or Needs Support in each strand for a course will be given an overall grade of “Pass” for that course. Insufficient Evidence is in place of a traditional zero or incomplete and it is meant to be a temporary score. Students who earn an “IE” on a strand will be given an overall grade of “Fail” for that course until the teacher has received enough information to make a determination of their knowledge and skills. Student is currently showing detailed knowledge and understanding of learning targets. Student is currently showing good understanding of learning targets and makes few content or skill errors. Student is currently showing fair understanding of learning targets and can only show understanding with support. Student is currently having significant difficulty demonstrating understanding of learning targets. There is insufficient evidence of student work to evaluate. Guskey, T. (2010, October). Why the label ‘exceeds standard’ doesn’t work. [Web log post]. How will “Learning Skills & Work Habits” be reported? We know that it takes more than just content knowledge to be a successful learner. One of the key components of SBG is that academic and non-academic factors must be reported separately in order to give the most accurate account of student learning. It takes more than just content knowledge to be a successful learner. Students will be given an overall grade (4, 3, or 2) in each class aligned to the Bexley Learning Skills & Work Habits. What is considered to be an “A” in Standards-Based Grading? You cannot easily compare traditional letter grades with a mastery based system. Traditional letter grades take multiple academic and behavioral factors and combine them to produce one letter grade. Our goal is for each student to achieve mastery on each standard and to display the student skills that will help them through school and career. How will I know if my student needs help? A report card at the end of a grading period is an important communication tool, but it often comes too late. Students who are struggling mastering standards will receive extra help from teachers and support staff in their classes, during study halls, or other times set-aside for intervention. When a student needs more support than those times can provide, parents will be notified and a plan developed. One of the biggest advantages to standards-based report cards is that the area of need can be more easily identified. How will this system impact my student’s Grade Point Average (GPA)? Students will no longer be given a GPA during middle school. The purpose for GPAs is to rank and sort students which is not nessecary at the middle school level. How will the honor roll be determined? BMS will no longer use a grade-based system to recognize students however, recognition assemblies will continue to be an important part of how we acknowledge and celebrate students. These assemblies will focus on participation in school clubs and activities, demonstration of good character traits, and other school and/or community based accomplishments. How else will students and parents receive communication about student achievement? Standards-based grading is, at its heart, a more robust feedback system. We want students and parents to have more detailed, more accurate information about student performance. In addition to the grades, teachers will still provide comments on report cards. Those students who have an IEP (individualized education plan) or WEP (written education plan) will still receive progress reports multiple times a year. In a class that uses SBG, students who earn a Mastery, Approaching Mastery, or Needs Support in each standard for a course will be given an overall grade of “Pass” for that course. Insufficient Evidence is in place of a traditional zero or incomplete and it is meant to be a temporary score. Students who earn an “I” will be given an overall grade of “Fail” for that course until the teacher has received enough information to make a determination of their knowledge and skills. Are non-academic factors, such as effort, attitude, participation, and behavior part of the class grade? These factors have always been and will continue to be an important part of your student’s success. However, in standards-based grading, these factors will be communicated separately from your students’ academic grade. What if a student does poorly on an assessment? The teacher and student both have significant roles to play before an assessment is given. The teacher is responsible for providing clear learning targets, daily instruction and activities that promote an understanding of the content, specific and actionable feedback to students during the course of learning, and times where students can receive additional support if needed. Teachers are expected to use formative assessments to ascertain if all students are ready to be assessed on that content. The student is responsible for coming to class prepared to learn, completing all assignments on time and to the best of their ability, and communicating with teachers when they are mastering the content. Despite these safeguards, there are times when a student needs additional learning to master the content. Teachers may, at their discretion, provide students a second chance to demonstrate their knowledge and skills. This may require time outside of the normal class time and/ or additional practice work. Students are required to meet with the teacher outside of normal class time. Students are responsible for completing any pertinent assignments before they are eligible to re-assess. Assignments submitted after the due date are not eligible for re-assessment. Re-assessments will be submitted with 2 weeks of the original assessment grade being reported,unless extended by teacher discretion. Teachers may restrict re-dos on assessments which every student has received individualized, rubric-referenced, direct written or verbal feedback ahead of the summative assessment with class time to work, after the feedback. Examples of such assignments include but are not limited to authentic assessments like portfolios, presentations or debates with rehearsal performances, written work with rough drafts, etc. Students should not continually use re-assessment as a means of avoiding preparing for tests. Teachers who document a pattern of such behavior for individual students can restrict re-assessments after contacting parents and documenting such contact. Reeves, D. B. (2000). Standards Are Not Enough: Essential Transformations for School Success. NASSP Bulletin, 84(620), 5. What does a Standards-Based Report Card look like? In the example below, the student earned "Approaching Mastery (3)" for quarter 1 in Earth & Space Science, "Mastery (4)" for quarter 2, and the strand was not assessed in quarter 3. Each quarter stands alone for content/ skills assessed so it is possible for a student to earn "Mastery" in one quarter and a lower grade in a subsequent quarter. Quarter grades are not averaged for a final grade. The grey boxes indicate that a comment may be given on that section, either at the course level or for Learning Skills & Work Habits. Reeves, D. B. (2010). Transforming professional development into student results. Alexandria, VA: ASCD. Students will earn a course grade of “Pass” or “Fail” based on the strands assessed for that marking period. If a student receives an “Insufficient Evidence” for any strand in the marking period, their overall course grade will be “Fail” until the teacher has received enough information to make a determination of their knowledge and skills. Students will be given a grade of Mastery, Approaching Mastery, Needs Support, or Insufficient Evidence for each strand assessed, each marking period (every strand may not be assessed every marking period). Strands are grouping of like concepts taught within the subject and are guided by state, national, or international curriculum and best practices. Strand grades are calculated using either the mode (most frequent score for the strand) or by the most recent evidence. Most recent evidence is used when a concept is assessed multiple times and student is demonstrating knowledge/ skills at the time of reporting that they were unable to on earlier attempts. These are a subset of the entire curriculum that are the priority knowledge and skills that have endurance and leverage for students’ success in school this year, next year, and beyond. Whereas all standards are important, the prioritizing of standards helps educators to choose between coverage and mastery from a large numbers of standards (DuFour & Marzano, 2011; Reeves, 2010). Promise standards also help make learning expectations more transparent to students and families and help the district use its resources to achieve high levels of learning for all students. Promise Standards should reflect what knowledge and skills are needed to be successful at the next level, not what is to be tested by the state. Sometimes called “I can” statements, these are daily or weekly goals written into student friendly language. They serve the purpose of helping students know if they are making day to day progress and providing transparency in learning. Dr. Matt Townsley, an Assistant Professor of Educational Leadership at the University of Northern Iowa, has created the most comprehensive listing of Standards-Based Research available. 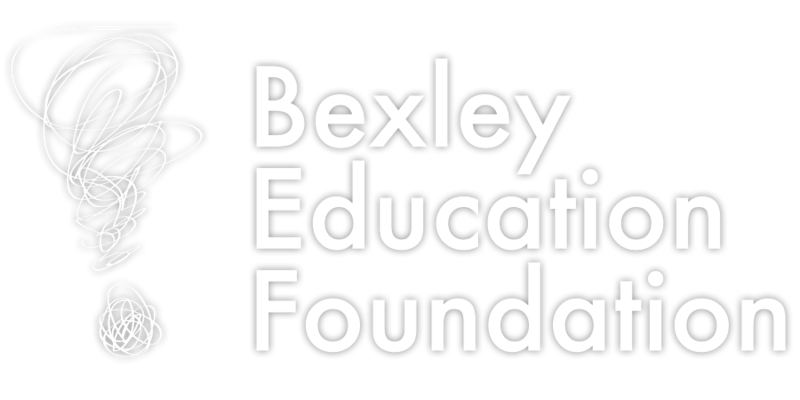 Click here to access (external page, no affiliation with Bexley City Schools). Friess, J. (2016, April). Respecting learning as a process. OASSA E-Update, 17, 8. Black, P., Harrison, C., Lee, C., Marshall, B., & Wiliam, D. (2003). Assessment for learning: Putting it into practice. Maidenhead, UK: Open University Press. Brookhart, S. M. (2009). Grading. New York, NY: Merrill. Dueck, M. (2014). Grading smarter, not harder: Assessment strategies that motivate kids and help them learn. Alexandria, VA: ASCD. Guskey, T. R., & Bailey, J. M. (2001). Developing grading and reporting systems for student learning. Thousand Oaks, CA: Corwin Press. Guskey, T. R. (Ed.). (1996). Communicating student learning: The 1996 ascd yearbook. Alexandria, VA: ASCD. Guskey, T. R. (2014). On your mark: Challenging the conventions of grading and reporting. Bloomington, IN: Solution Tree. Hattie, J. (2012). Visible learning for teachers: Maximizing impact on learning. London, UK: Routledge. Johnson, D. W., & Johnson, R. T. (2002). Meaningful assessment: A manageable and cooperative process. Boston, MA: Allyn and Bacon. Littky, D., & Grabelle, S. (2004). The big picture: Education is everyone's business. Alexandria, VA: ASCD. National Middle School Association, & Association for Middle Level Education. (2010). This we believe: Keys to educating young adolescents. Westerville, OH: AMLE. O'Connor, K. (2009). How to grade for learning, k-12. Thousand Oaks, CA: Corwin. O'Connor, K. (2010). A repair kit for grading: Fifteen fixes for broken grades. New York, NY: Pearson. Wiliam, D. (2011). Embedded formative assessment: Practical strategies and tools for K-12 teachers. Bloomington, IN: Solution Tree. [ActiveGrade]. (2012, November 16). Standards-based grading overview. [Video File]. Retrieved from https://www.youtube.com/watch?v=E7m4762pjH8. [IASA]. (2016, Summer). Morton’s mastery approach: A standards-based system at j. sterling morton high school district 201. [Video File]. Retrieved from https://vimeo.com/171451016. Rose, T. [HarvardEducation]. (2014, October 08). The end of average: Todd rose's '8 for 8'. [Video File]. Retrieved from https://www.youtube.com/watch?v=9GcJi4eaSeY. Sackstein, S. [TEDx Talks]. (2016, June 2). A recovering perfectionist's journey to give up grades. [Video File]. Retrieved from https://youtu.be/_61kL5jeKqM. Slagter, L. (2016, July 11). Students perform better when tests are better. [Video File]. Retrieved from http://www.mlive.com/news/ann-arbor/index.ssf/2016/07/students_perform_better_when_t.html. Townsley, M. [Matt Townsley] (2011, November 8). What is standards-based grading? [Video File]. Retrieved from https://youtu.be/k3dyJAkYsew. Wissner-Gross, E. [TEDxTalks]. (2015, February 9). De-grading education. [Video File]. Retrieved from https://youtu.be/DzSnvxejenY. Wormeli, R. [Stenhouse Publishers]. (2010, December 21). Defining mastery. [Video File]. Retrieved from https://www.youtube.com/watch?v=nPUqKp-n_hs. Wormeli, R. [Stenhouse Publishers]. (2010, November 23). How much should homework count? [Video File]. Retrieved from https://www.youtube.com/watch?v=nMJ-vEl4WB8.